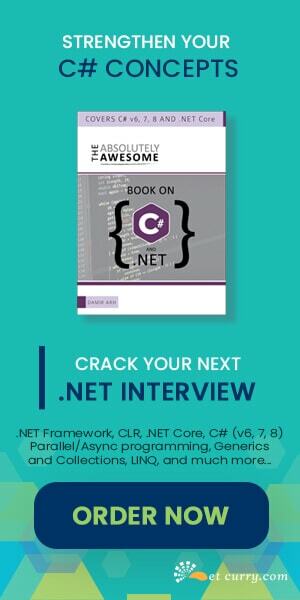 With 2012 fast approaching and 2011 drawing to an end, we've put together our list of the Most Popular .NET articles on DevCurry.com this year. The year 2011 featured articles on DevCurry covering many technologies like jQuery, HTML 5, ASP.NET, MVC, Silverlight, WPF, .NET, VS 2010, Entity Framework and Sharepoint, just to name a few. I would like to thank each one of you who has visited my blog or contributed to it by submitting a Guest post, Subscribing to RSS Feed, by joining me on Twitter or the Facebook page or promoting the articles and giving regular feedbacks via rating, comments or Emails. 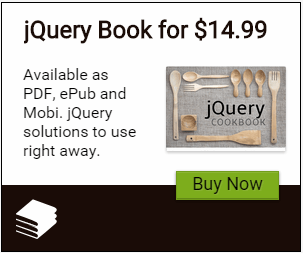 Many thanks to those too who purchased my jQuery ASP.NET eBook. Here are some articles that were liked the most by readers like you. Have a very Happy New Year 2012! Where are my ASP.NET Temporary Files Stored? its an good approach to find out the whole required data from one place . Excellent compilation of hot topic links. Thanks! Having all these posts has made my job much easier, it has lot to gain from it. While dealing with .NET with the help of these posts I was able to solve the issues I was having. Very good and usable post. Thank's to share your experience with us.